The 2017 French Open kicked off yesterday, and with it the City of Love is glowing with excitement for the sport of tennis. The second of four annual Grand Slam tournaments, the French Open (or Roland Garros, as the French call it) is the smallest tournament in this international league, and yet is widely considered the most grueling. This may come as a surprise to first-time French Open spectators, especially given the romantic Parisian background. Watching Roland Garros from your TV is one thing; witnessing the tournament first hand and feeling the excitement in Paris is another entirely. 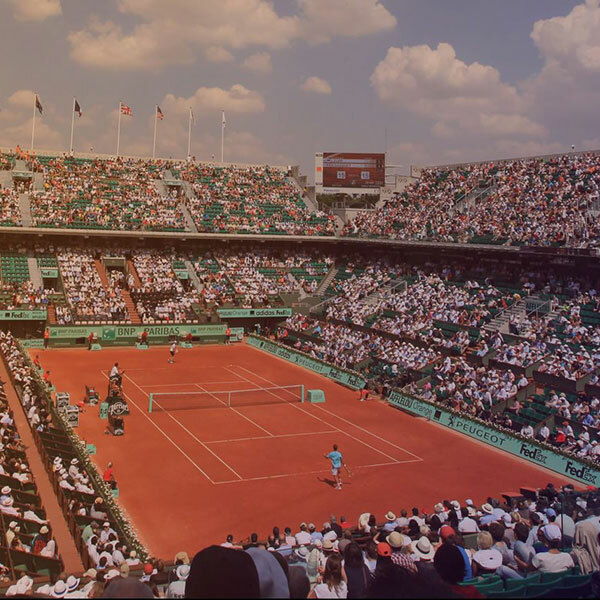 If the French Open isn’t already on your Bucket List, here is everything you need to know about travelling to see this intimate and exciting tournament. This French Open guide will introduce you to all of the basics of this two-week long event. 2017 marks the 126th birthday of the tennis tournament and the 89th birthday of its stadium, the Stade Roland-Garros. This stadium was constructed in 1928 and named in honor of a famed WWI pilot. 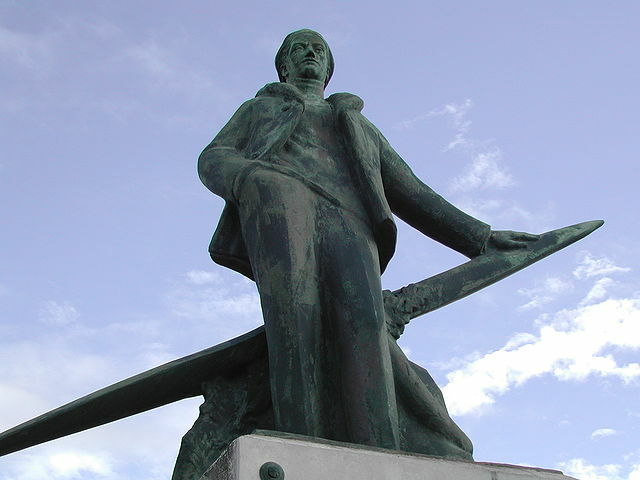 Garros was not only the first man to successfully fly a plane across the Mediterranean, but he was also well known for contribution during the war. His nickname, “the Ace,” originated after he shot down five enemy planes in a row. Garros was a a tennis fan himself, and so the stadium is part of his memory. A statue of Roland Garros, legendary fighter pilot and tennis enthusiast. Source. 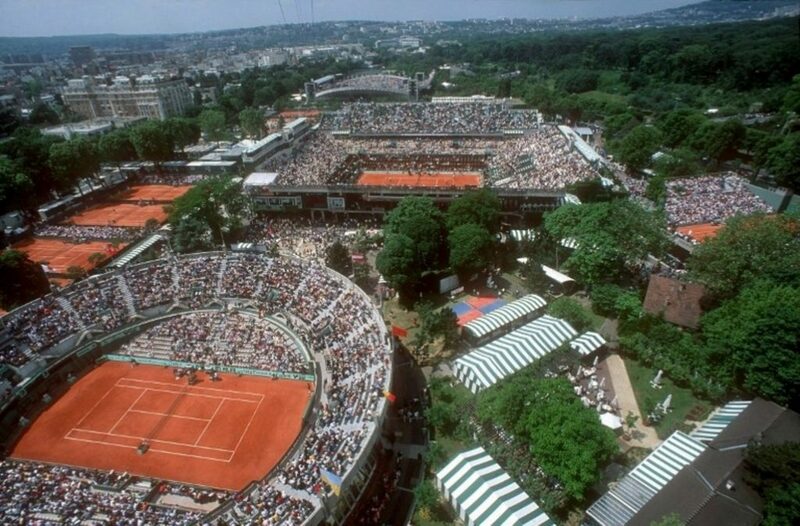 Located in the southern part of the Bois de Boulogne in Paris’s 16th arrondissement, the Stade Roland-Garros is comprised of 20 courts on 21 acres, the largest of which seats 15,000 spectators. Despite this sprawling size, the tournament feels incredibly intimate. The bleachers are stacked steeply, giving everyone a great view and lending the event a very close-knit vibe. Another distinctive feature of this stadium and tournament are its iconic red clay courts. Stade Roland-Garros, as seen from above during the 2013 French Open. Source. The French Open is the only Grand Slam tournament to be played on clay, something that makes the aesthetic and the physics of the matches incredibly unique. 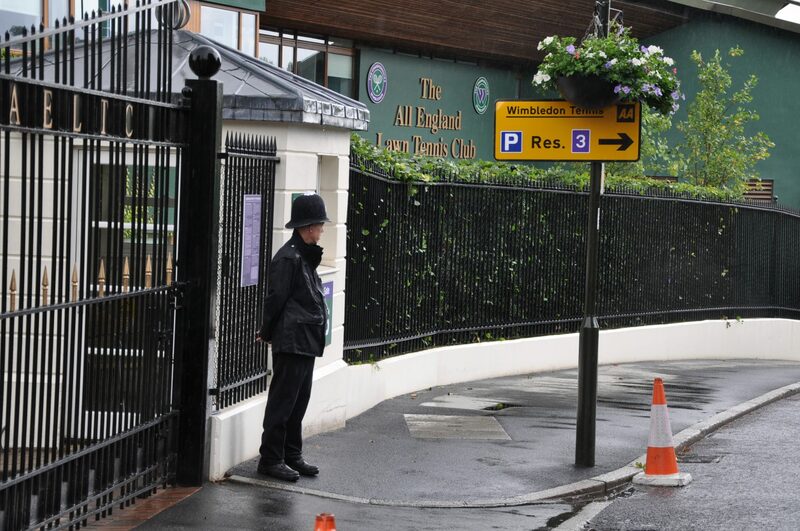 Where Wimbledon is played on grass and the U.S. and Australian opens are played on hard courts, the relatively soft and absorbent clay of the French Open slows the ball down. That means that players have to run faster and hit harder, something that has made this tournament notoriously difficult. By the end of a match, players have a layer of red dust on them, a look that highlights the intensity of the game play. It’s not just the terracotta courts that distinguish the French Open from the other Grand Slam tournaments. There is a lot of symbolism packed into this event, something that its host city of Paris is incredibly proud of. French Open regulars beam with pride when speaking about the humble brooms used to sweep the dust from the courts, something conspicuously absent from the meticulous grass courts of Wimbledon. At Roland-Garros court sweepers are as iconic as the ball boys. 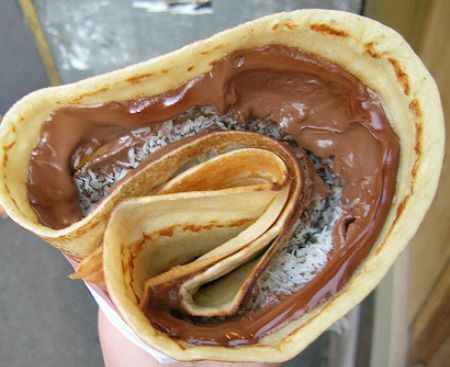 As is only natural in Paris, crepes are plentiful at Roland-Garros. The smell of Nutella floats through the air, and Americans may be surprised to see that it is stocked in buckets and even barrels. You can smell these all over the stadium. Source. The French Open location makes for some of the best people watching in the international sporting scene. Paris is one of the world’s fashion capitals, and the tournament itself has no dress code (at Wimbledon, players must wear all white). Panama hats are popular among men and women in attendance, something that you might want to pick up as a memory of your time in Paris. Players and spectators alike tend to be effortlessly chic and well-dressed at Roland-Garros, so make sure you put some thought into your outfit before you go! In the 1989 French Open, 17-year-old American Michael Chang pulled off a massive fourth-round upset over Ivan Lendl, who was currently the number one player in the world. Chang’s success featured a massive comeback, overcoming painful leg cramps, underhand serves and complaints on the officiating of the games. He went on to win the French Open that year, making Chang the youngest player to ever win a Grand Slam tournament. In the 1999 Finals, Steffi Graf defeated Martina Hingis one day before her husband, Andre Agassi, would make a remarkable comeback to win his respective match. This match was filled with controversy, as the 19-year-old Hingis was heavily favored to beat the 30-year-old Graff. Coming off a remarkable season, Hingis behaved petulantly towards the refs, turning the crowd against her, and bolstering support for Graf. Graf won the match as much as Hingis lost it, but the involvement of the crowd played a powerful role in the drama that unfolded. Tennis is an intense sport, both mentally and physically. But against the backdrop of the terracotta courts, the drama is taken to a new level. If you are planning well in advance to head to Paris for the French Open, make sure you buy your tickets ahead of time. They tend to go on sale in mid-March, and the prices are at their best during pre-order. But should you just happen to find yourself in Paris during the tournament, it is possible to buy French Open tickets on site – whether for a single match or a week-long pass. 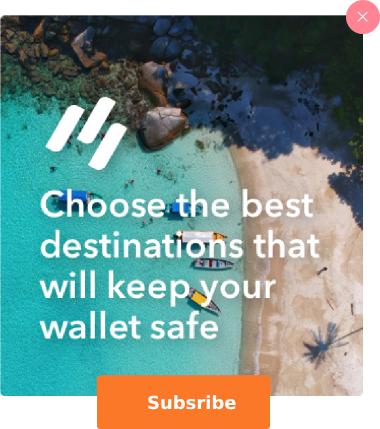 Just keep in mind that prices steepen after the tournament has already begun, at it may be very difficult to get tickets for coveted matches like the Finals. Paris tends to be beautifully warm and sunny in late May and early June. This is good news, but after a whole day in the stands, things can get uncomfortable. Make sure you wear light, breathable clothing, and that you bring a hat and sunglasses. Take your queues from the locals. 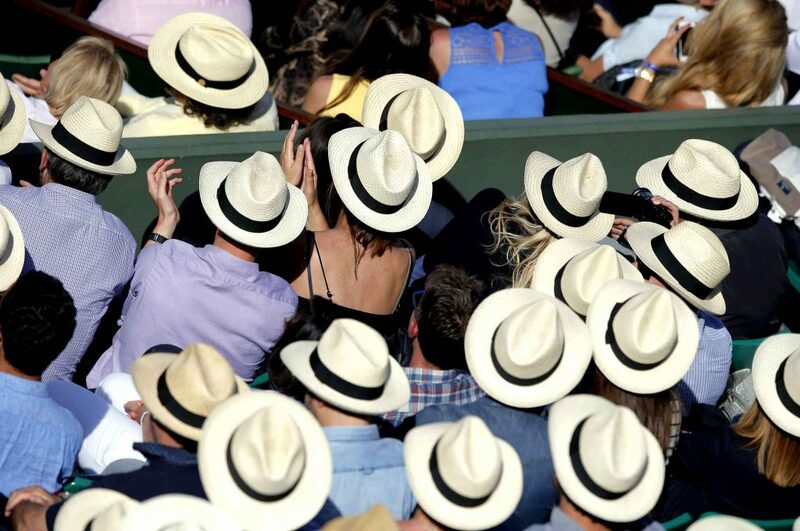 Panama Hats are the unofficial uniform for spectators at the French Open. Source. While tennis enthusiasts agree that the French Open location offers better food than any of the other Grand Slams (Croque Monsieur, anyone? ), Stadium fare is typically expensive and probably won’t be satisfying should you be eating it every day of your stay. The good news is that spectators can bring their own food (and even wine!). So grab a freshly baked baguette, your favorite variety of French cheese, and a bottle of Burgundy when heading to the Stadium. 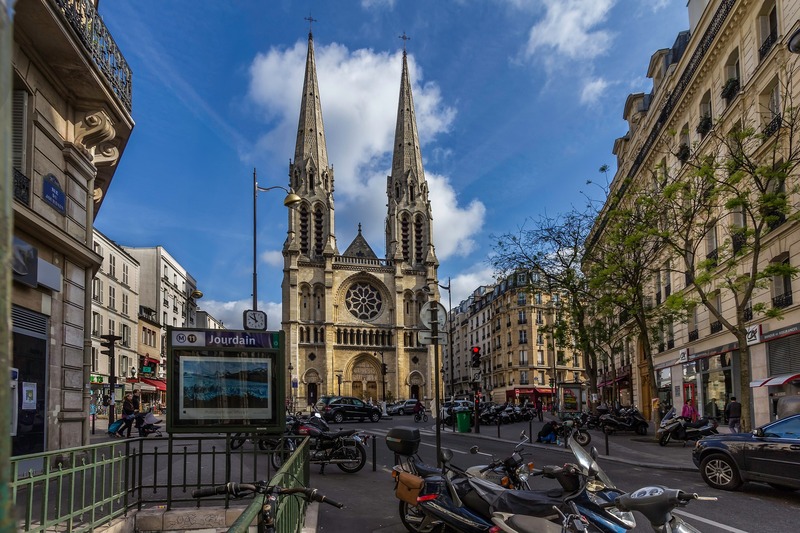 Otherwise, Paris is famed for its food, and there is plenty of amazing eating to be done all over the city. Is the French Open on your Bucket List? Start planning the trip of a lifetime. 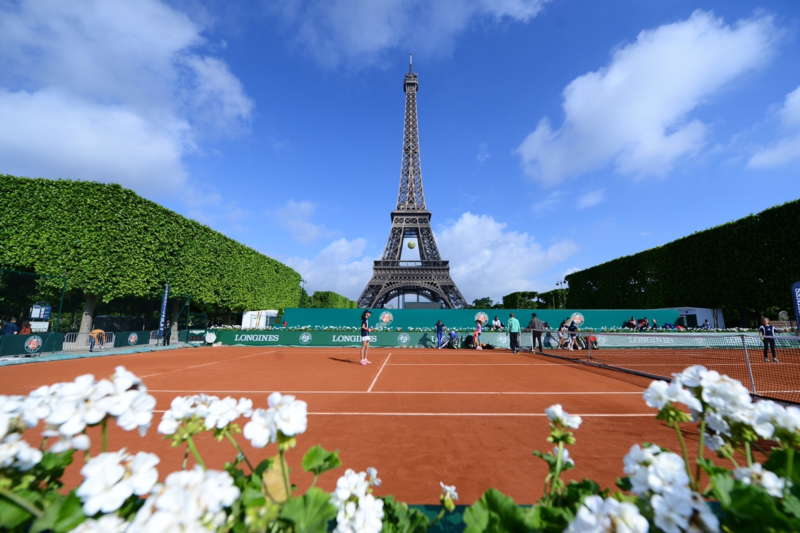 Inquire about our Roland Garros Travel Packages today.